Not all of these items will make the trip, because their weight adds up. 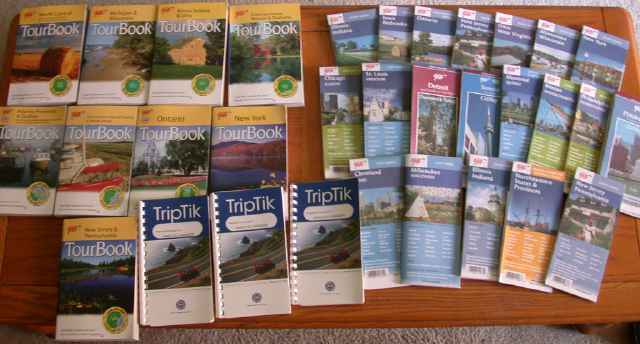 Most likely to be left at home are the Tourbooks for Arkansas/Kansas/Missouri/Oklahoma and Iowa/Minnesota/Nebraska/North Dakota/South Dakota, since in both cases, we’ll be in one of the included states for no more than a few hours. Levi: I guess I’ll make the reservation for a trailer rental now.